The Stuff Pack is a unique addition to the HMG pack line. 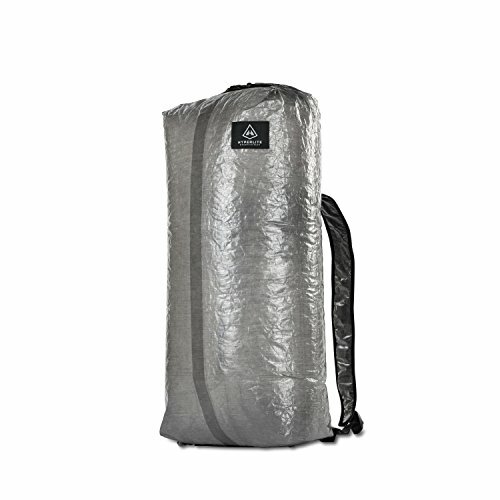 Easily collapsible and packable, it weighs a mere 3.6 oz. and holds 1800 cubic inches of volume. A favorite go-to day pack, one-day summit pack, or around town carry-all, this pack is a true problem solver. The Stuff Pack's streamlined design features lightweight shoulder straps and a roll-top closure system with hook and loop to keep pack opening aligned and protected from the elements. The Stuff Pack is constructed using CF11 Cuben Fiber. As with all HMG packs, the Stuff Pack is water resistant.